I hope you’re having a good weekend. 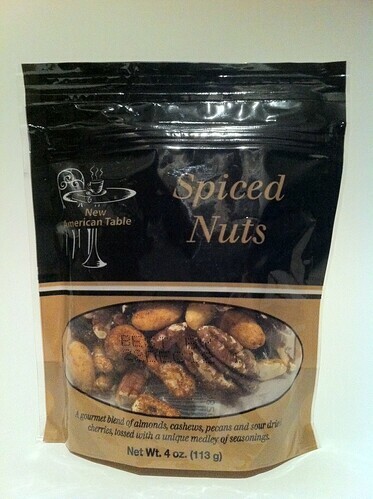 Just a reminder that I’m giving away 1,000 Free AAdvantage Miles and a bag of Marcus Sameuelsson Spiced Nut mix. To win , just go here to the original post and share the aircraft type of your first flight in the comments section. Non pressurized. My ears still hurt. Probably an ERJ 145, or similar, from Edinburgh to Cardiff in the late 1990s on BA (when they still had regional flights). 1986, CI 747-200. Not too shabby, but as a 6 year-old, I back then, I was hoping the engine noise will go away once we are airborne though… ha! 727 I think? Probably in 1965. I was 5 at the time. I was a university student in Germany in 1969. First flight for me was on a 727….. I believe. Travel fever bit me then, and I have never gotten rid of it! 727 OMA-DEN on UAL, I specifically remember there was a snack on board because it was the first time I tried Gouda cheese, and had to hear my dad make “good-ah” jokes for about a year following.